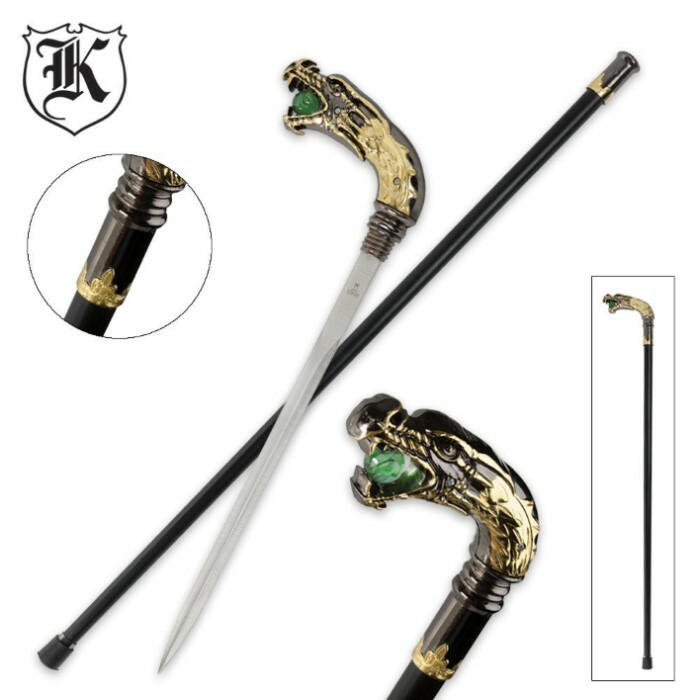 Roaring Dragon Custom Sword Cane | BUDK.com - Knives & Swords At The Lowest Prices! The Roaring Dragon sword cane is packed with detail! The aluminum handle features an intricately detailed dragonhead design with gold and silver coloring. 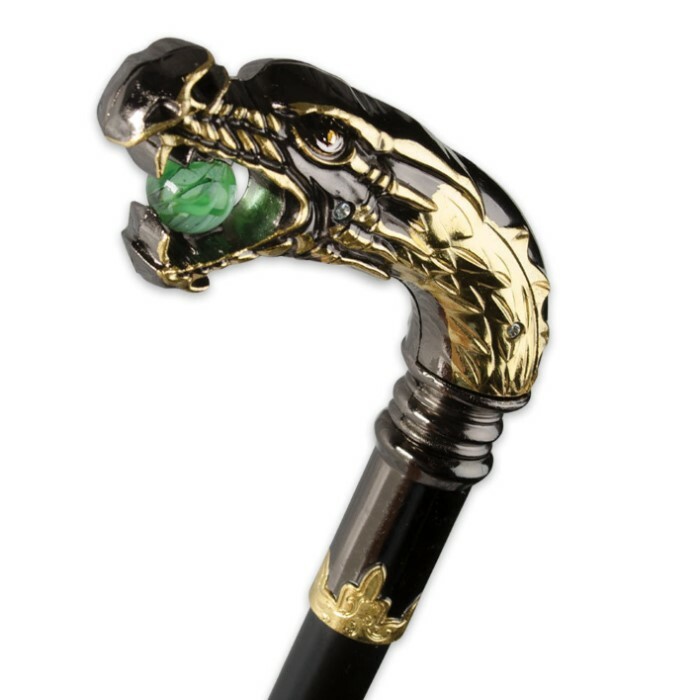 The dragonhead also features a green marble in the mouth of the dragon, for one fierce looking cane! The sturdy sheath is constructed of metal with a rubber foot at the end for gripping purposes when using as a cane. I bought this as a companion to my Regal Eagle sword cane thinking it would be of the same quality. Big mistake - it is totally inferior. The handle is not metal like the Regal Eagle. If anything, it is metalized plastic. The blade was loose and when I tried tightening the screw that secures the blade, the threads stripped. That's how I knew the handle was plastic - I had to JB weld the blade in place, which worked, and superglue the screw in place just for appearance sake. Additionally, the cane itself is bent, not kinked or in danger of giving out, but bent just the same. If you're looking for the same quality as the Regal Eagle, pass on this one. Perfect height for a cane. Blade is not full length, about 12 inches long, but is razor sharp. Cane is heavy too. Definitely could use it as a personal defense weapon in itself. I bought this for my wife and she loved it.